Obviously Richer Sounds have put out a load of their own deals today but this one caught my eye, because this is an excellent, powerful speaker with some fantastic features. My daughter bought one a few weeks ago and I now have to suffer her tedious music at full volume most days but the sound quality is excellent. The standout features for me is that it acts as a network device to receive streamed audio (no need for a phone). 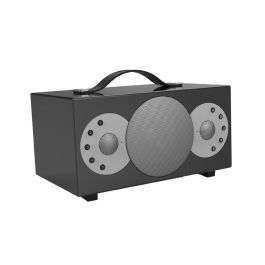 Also you can link upto 10 over speakers for multiroom (or use two for stereo sound) and of course it is rechargeable. Tell you what, I’ll give you £100 for your daughters. Win win.